I don’t know about you, but I always get unnerved at the death of tiny cute anthropomorphic things. Most people can rationalize “that’s a banana getting grinded up into bits," but when you hear their screams and see blood splattering across the screen, it’s a little different. Thankfully the point of Don’t Grind (Free) is to save these little creatures, but as most endless games prove, death is inevitable. Maybe that’s why it makes me so uncomfortable. I was initially drawn to Don’t Grind due to a community recommendation, but the artwork immediately pulled me toward it. 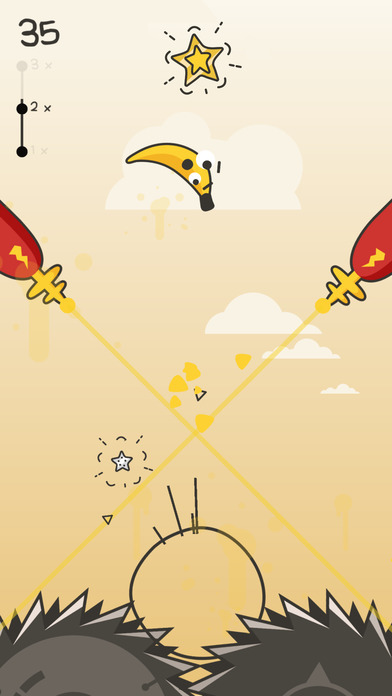 It looks like something out of Tokidoki, but the team over at Laser Dog Games put their own spin on it, and created a likable cast of characters that consist of basic household items and food — like toasters, apples, milkshakes, and of course, bananas. The loop is like a truncated version of Super Meat Boy. There’s no platforming involved per se, your job is to just tap the screen and prevent the character of your choosing from falling into giant buzzsaws at the bottom. 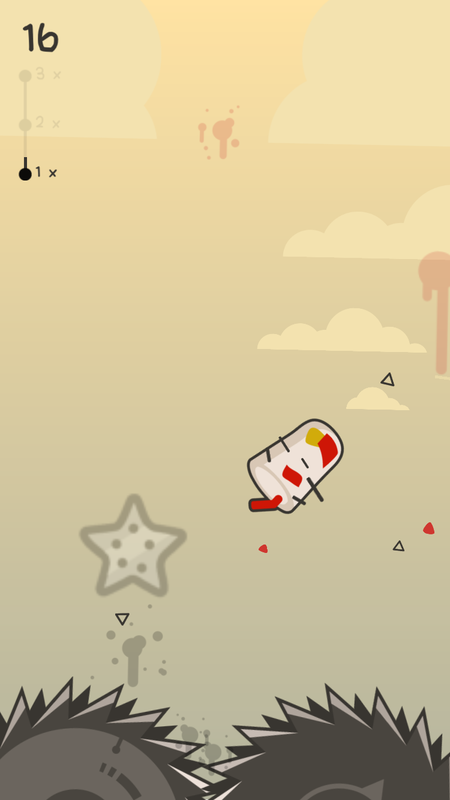 By tapping the screen plainly you can manipulate your height, and by swiping, you can move your object from side to side. Think of tapping like juggling a soccer ball by yourself — it’ll give the object a slight upward kick, but the operative word here is “slight," as you’ll need to stay on top of it to keep it airborne. It gets even tougher once you add in enemies and hazards to the mix, like more buzzsaws that can appear anywhere on any side of the screen, and Bullet Bill-esque missile cannons that you’ll sometimes have to juggle between. The entire point isn’t just survival either, as you’re aiming to collect as many stars as possible while staying alive, at which point it feels like total chaos. Stars are brief in their appearance, and can often put you directly in the line of fire, potentially ending a run. It looks like a cartoon game with cartoon violence, but it’s much more tense than that. You’re constantly making decisions on whether or not points matter more than continuing a run, and although the soundtrack is incredibly upbeat (a deliberate comedic juxtaposition), it’s a pretty stressful affair overall. In that way the presentation can work in your favor, pushing you to one or two more stars, but for the most part the actual game bits are tough. I’m glad then, that the IAP isn’t so predatory given the difficulty level and cuteness factor. The only purchase that’s available so far? A 99¢ ad removal unlock. It’s basically like buying the game, but you really don’t need to unless you feel like “tipping" Laser Dog Games. You can play as normal all you want, and if you feel like occasionally unlocking a character after a milestone, you can through watching a short, 30 second video ad. New avatars don’t really impact the game directly as they’re cosmetic in nature, but I like the idea of putting on the “random" setting and seeing what I get. If you’re thinking “I bet there’s another catch here," there is, but it’s better than how most modern mobile titles handle it. Video ads also serve another purpose — continuing after a death. 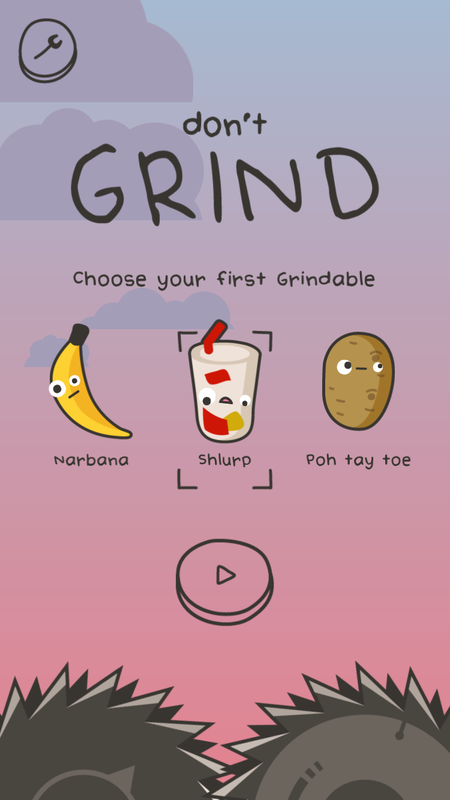 But with Don’t Grind, you can watch the video after you choose to continue, once. It’s done so little that it’s one of the only times I’ve ever seen it, and I was surprised at first that the game actually forgot to serve that ad. Sure you can probably just quit after a continue and a subsequent failed run, but it feels fair enough to the point where I’m not really bothered. After playing literally hundreds of endless type games (I’ve been on iOS since 2009), I’m sort of of the mind that they’d hit their breaking point, but I’m still constantly delighted. Whether it’s unique art styles or new takes on a subgenre that’s been around for years, developers are always trying out different things, and when they land, they really land. While there isn’t a whole lot there for people outside of character grinding in Don’t Grind (ha), I’m confident that a lot of people are going to fall in love with it, and decide to pull the trigger on the relatively reasonable IAP asking price. Potential future updates can only bring it up from there.